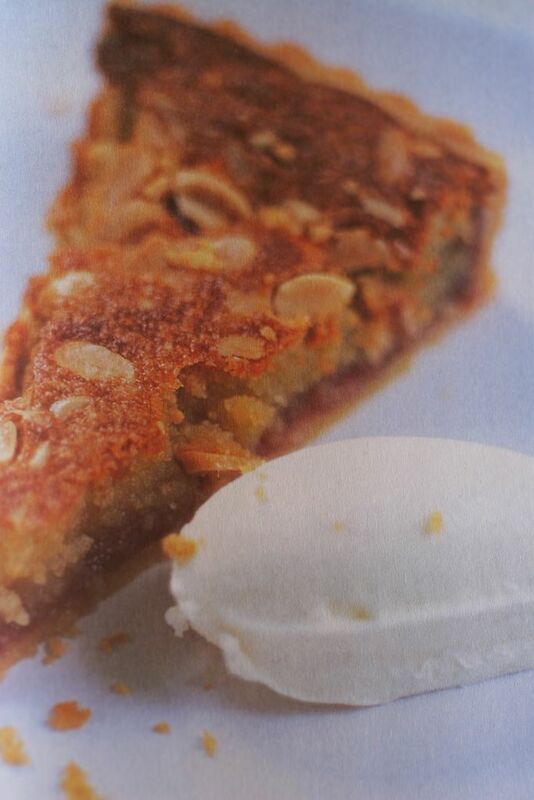 *Update* June 2006: Read more information and tips on making Jamie Oliver's bakewell Tart in this updated "How to Make Bakewells" post. 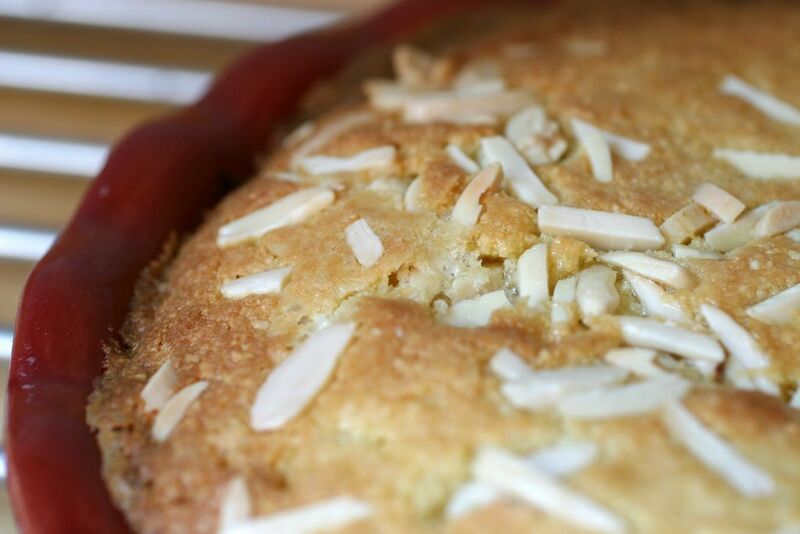 For the longest time I have been lusting after a slice of Bakewell tart. 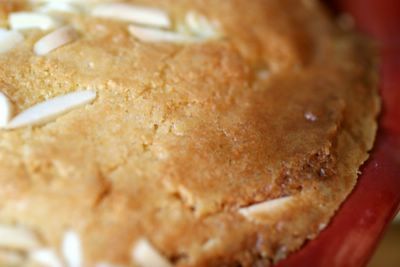 Bakewell tart, with a non-sweet pastry base, layer of strawberry jam and frangipane topping is a classic English tart loosely related to the less common but more historically interesting Bakewell Pudding. 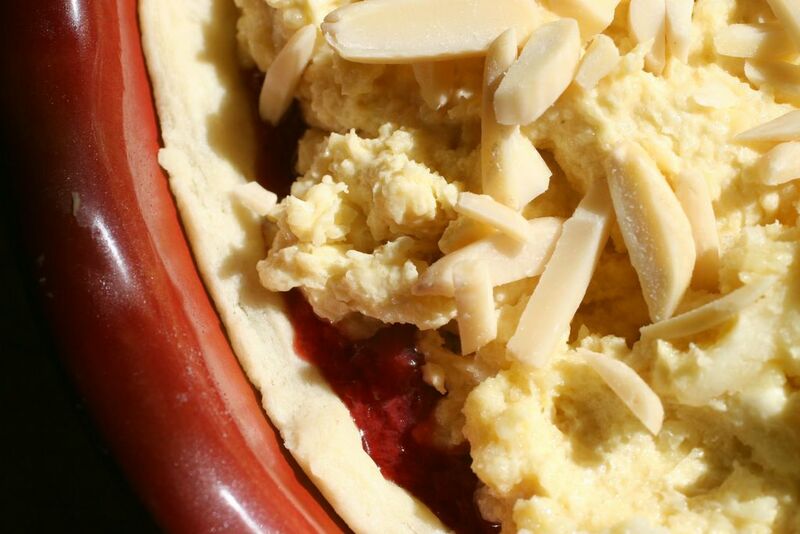 The planets aligned themselves and a sequence of events conspired to present an opportunity for me to bake the tart. Firstly some good friends gave me the most beautiful pie dish for my birthday. I suddenly realised I hadn't had any cake on my birthday. This was an oversight that needed to be sorted out as soon as possible. 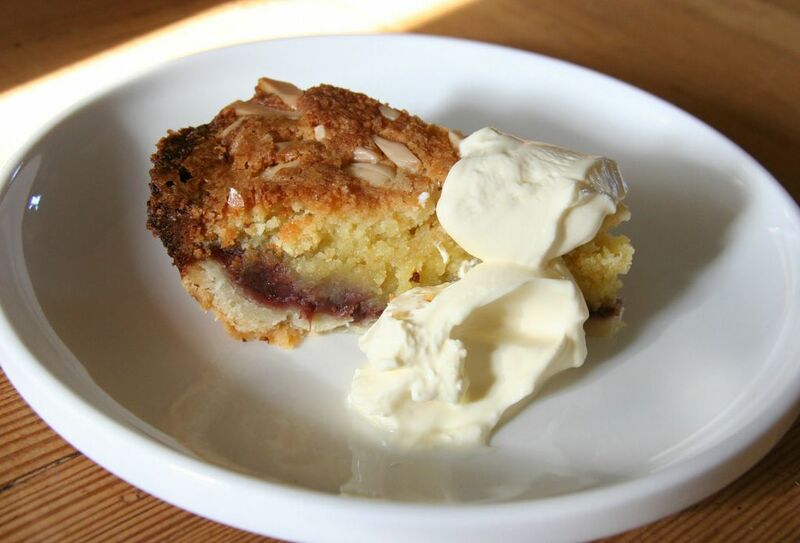 Secondly, ever since I met Jamie Oliver last year and bought his Jamie's Dinners book, I have been gazing fondly at the Bakewell Tart picture, all the time wishing it was mine. Thirdly, despite working crazy hours I seemed to have all the ingredients needed for this particular tart without budging an inch. The last thing I wanted to do on my one precious day off was to have to go trundling round the shops for this, that and the other. Proof that the Bakewell has long been on my mind might be found in a 5lb bag of ground almonds sitting in my pantry, or a jar of top quality June Taylor strawberry jam sitting on my shelf, just waiting for the opportunity to perform together for an adoring audience. 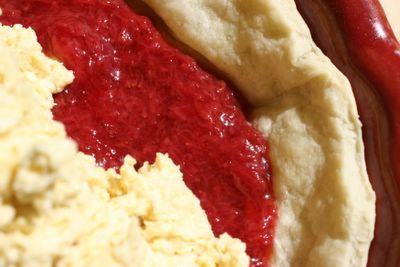 Fourthly, although I am not one for making the world's best pastry, I'd read about Shuna's easy to make piecrust on Eggbeater and concluded that her interesting-sounding method looked like a fun one to try out. Fifthly and finally, I had spotted the announcement for Sugar High Friday and the subject was Tarts. This was the final piece in the jigsaw puzzle, the perfect excuse to make the very thing I had been toying with making for months. Bakewell Tart. The answer to yesterday's teaser can be found in the comments section of yesterday's post. You certainly tart up well! I love your fatalist approach to tart selection. As always, you make me smile. I hope the tart provides comfort to the your overworked officemates, and you too. Tasty looking, to be sure, Sam. 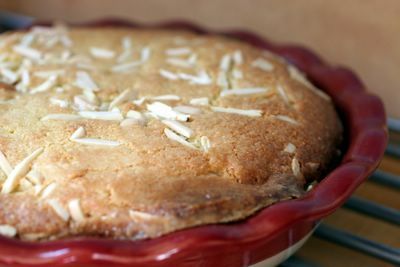 I think that many frangipane recipes call for too much butter - sometimes overwhelming the taste of the almonds as well as beeing a bit on the greasy side. I hope you're able to come up with a good one. Your tart looks lovely. My brother-in-law is English, and is constantly talking about Bakewell tarts. If you haven't checked it out already, go to the Kiplinger's website, it's beautiful. My mouth is watering.Knowing your talent, I can imagine the delight . Sam, what a delicious-sounding tart! I can't wait to read your rendition of the recipe - do let me know when you've perfected it. Thanks so much for joining in on yet another edition of SHF - it just wouldn't be the same without you! Sam, that tart looks delicious. Sweet and with substance. I'll just have to try it. All that build up and now...I must go to the pastry shop. Yes you will be blamed for all extra calories I consume. As always, your photographs are simply gorgeous. I absolutely love the one of your beautiful new pie dish on the butcher block counter. Oh, that color! The groupings of four photos really look nice. You inspire me not only to get baking, but to learn more about posting pictures as well. Thanks, Sam! Lyn - funny you mention fatalism. COme to think of it, I probably am a fatalist. I am certainly not a tart, though. 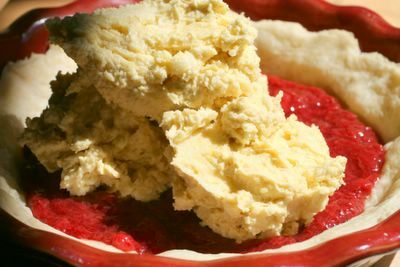 Nic - thanks for the tip about global frangipane butter excesses. Will investigate further. Ms Nosh - what is the kiplinger website? I went to kiplinger.com and I don't think that was what you were intending. Del - I couldn't have made such a beautiful tart without such a gorgeous pie dish. SO thanks to you! Jennifer - well thanks to you for starting this thing. Otherwise I wouldn't really have an excuse to make desserts. Michele has identified. 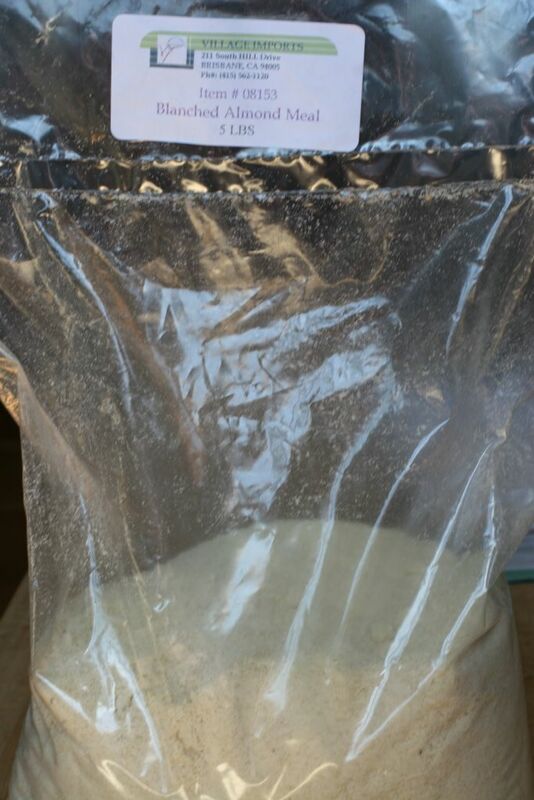 Make your own Michele - you could always convert your blog to a food blog! Farmgirl - I was lucky with the colours - they all seemed to match so the pictures were inspired by that. 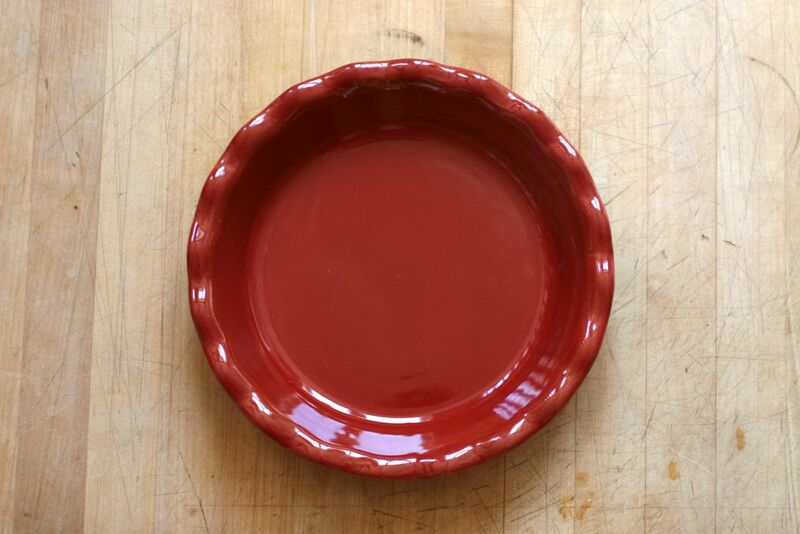 I loved the contrast of brown wood/red dish/brown/pastry/red jam. what a wonderful and tasty concoction. 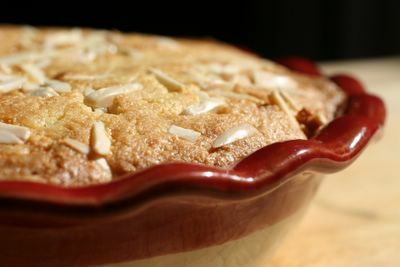 I've never had frangipane, and now I'm outraged! Some cosmic force has been denying my taste buds of this treat? 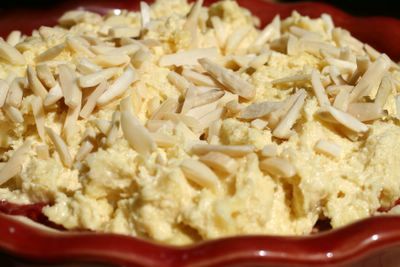 Uh-oh...another absolute must-make recipe has now entered the list. Your picture has me craving a slice of this absolutely gorgeous creation. I want to give it a shot as soon as I get some strawberry preserve that's worthy of the effort. McCauliflower - enraged - I am not suprised. What is life without frangipane? Julie - Jamie Oliver makes a point, in his recipe, of stating that Bakewell tart needs a bit of love and some quality jam. I didn't quite realise until afterwards that June Taylor's jam is $10 a jar which makes it quite an expensive tart to make (I used nearly the whole jar), but I really think it is important to the result fo the tart. 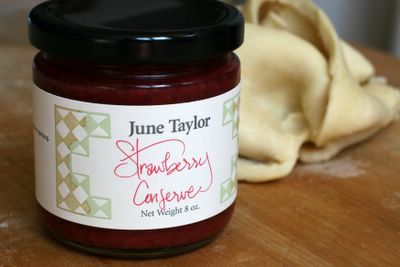 Maybe we should all get out and make some strawberry jam before the strawberry season comes to an end!